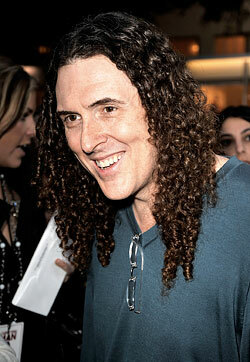 Is Weird Al in a Parody Slump? As you’ve surely heard by now, a brand-new song and video from legendary song parodist “Weird Al” Yankovic hit the Internet yesterday. How is it? Readers, we take no pleasure in telling you that it’s kinda bad (“Skipper Dan” is a hopelessly depressing track about a Jungle Cruise tour guide that would barely have made it as a Poodle Hat B-side). But we take even less pleasure in reporting that it’s not even a parody — and if you’ve not been keeping score, this is now Yankovic’s second consecutive non-parody of the summer. So what’s wrong, Al? We refuse to believe that, after 30 brilliant years, Yankovic’s comedic or musical abilities are failing — he released a great parody just last October, after all. Could popular music be the problem? Has the absence of a consensus on the Song of the Summer left him with nothing to work with? Has Yankovic simply decided that no track released by the dying recording industry of 2009 is ubiquitous enough to warrant his lampooning? Certainly that’s it, right? Will the cash-hemorrhaging music business ever again be able to create something popular enough for him to parody? Al, just say the word and we’ll totally go back to buying CDs.